We are traveling to Japan for over 18 days and planning to carry 10 KG of rice considering we are two people and eat rice at least twice a day. Are there any challenges at the customs in Japan (Haneda airport)? We will be carrying it in the checked-in luggage. We just wanted to carry good quality rice that is not steamed and heavily processed. Also, it turns out to be less expensive. To bring rice into Japan, you'll have to declare it on your customs form (rice is specifically listed as a "restricted article"), and it will be subject to inspection to check for pests. There is a special duty free allowance for rice that will ensure it is not taxed. However, a phytosanitary certificate is required for them to allow it into the country, which could prove to be a lot of trouble. You can read more about the regulations and the certificate requirement. 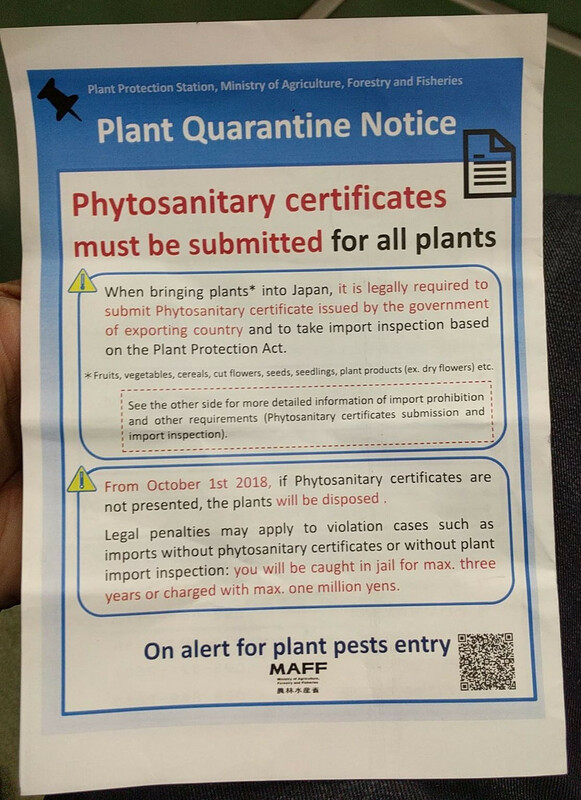 You may wish to contact the Plant Inspection Station in advance for further details, as some rice imports appear to be prohibited altogether for quarantine purposes. However, rice is an abundant staple food in Japan. Especially if you are willing to accept different varieties of rice from those common in your home, it seems like it would be much easier to purchase it locally than to carry it around with you, given the size and weight of that much rice. Yes, it is absolutely no problem. My Japanese husband has brought rice into Japan from Hong Kong numerous times. Up to 100 kg a year per person (for personal use) with no customs duties. You just need to fill out a customs document on arrival. Not the answer you're looking for? Browse other questions tagged customs-and-immigration japan or ask your own question. Can I carry homeopathic medicines and uncooked rice to Germany? Is it allowed to bring food items to Japan? Can I bring a 1-litre bottle of alcohol as a duty-free item to Japan?